New fully responsive premium multipurpose HTML5 WordPress themes, all theme templates are suits for every business and corporate websites. 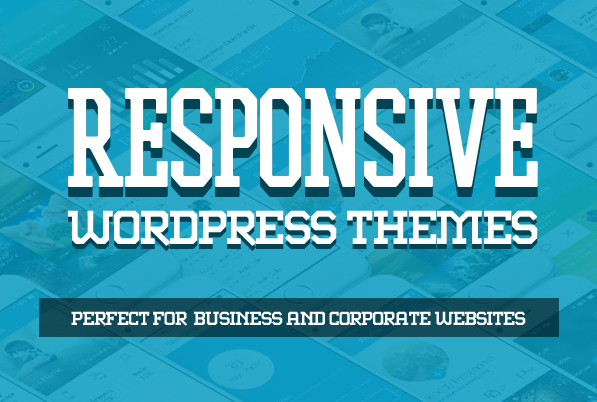 Responsive WordPress themes comes with a lot of features custom page builder, custom posts, Bootstrap, retina icons, contact form, Woo Commerce integration, unlimited sidebar, and much more to help you create you next project. Most of the themes are retina ready, translation ready, parallax ready and much more. These themes uses Visual Composer and the latest HTML5 and CSS3 technologies, Drag & Drop page builder, unique page builder blocks, Master Posts plugin etc. Huntt. is a beautiful minimalistic WordPress blog magazine theme, made to put visual oriented content in the first place, without any clutter and noise. 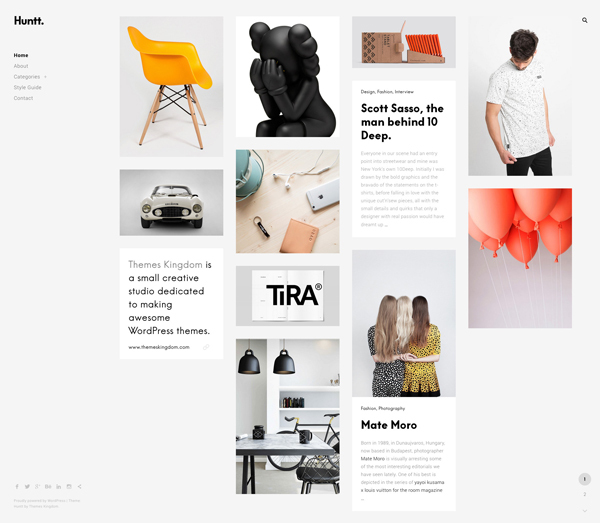 Lines is trendy, modern and easy-to-use blog WordPress theme with flexible and responsive layout. Theme is perfect for all blog or magazine websites and includes lots of features like Drag & Drop page builder, unique page builder blocks, support for WooCommerce etc. Euxino WordPress Theme is a modern and powerful design tool, suitable for all type of business, corporate, creative and online shopping websites, built for both professional and entry-level users. It’s extreme customization possibilities allows you to create virtually any layout and adapt to any design. Themesy is a multipurpose responsive retina template designed for create advanced projects, without external resources. Each of his demos is designed and structured for a particular type of business or activity. Their functionalities has been defined to cover all your needs intuitively. Master Our newest WordPress theme is full of modern features. It could be used for different type of sites: landing page, creative agency, business company, portfolio and many others.